Naxos is and always has been crossroad, where archaeologists, historians, scholars of all kinds, artists, and ordinary people with an interest in history, ar- chaeology and folklore can meet, drawn by the im portance of the culture which has flourished on the centuries. Among the archaeologists to have worked on Naxos since the beginning of the 20th century are Professors G. Welter, Chr. Doumas, V. Lambrinoudakis, N. Drand rakis, Klon Stefanos, Chr. Karouzos, N. Kontoleon, N Zafiropoulos, F. Zafiropoulou and G. Gruben, profes- sor of the history of architecture at the University of Munich and M. Korres (who is responsible for the restoration of the Athens Acropolis). These scholars have concluded that Naxos was not merely significant but of decisive importance for the history of the Cyclades and of the Greek world in general . 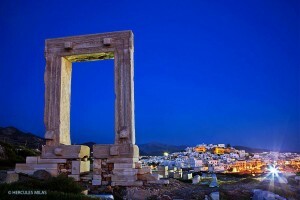 Its size, its central position in the Aegean, the fertility of its soil and the prosperity that these factors created helped to assure Naxos its self-sufficiency down the ages. Pindar calls Naxos “rich” and Herodotus assures us that Naxos surpassed the other isles in prosperity” Just as today, the fruit, olive oil and above all wine of Naxos were famous in antiq- uity: Archilochus of Paros even went so far as to compare Naxian wine with the nectar drunk by the gods on Olympus! The island would seem to have had extensnsive grazing-grounds in ancient times, and Naxian animals we so highly thought of that when in the 6th century BC Polycrates, tyrant of Samos, was searching for breeding animals with which to improve his stock, he sent to Naxos for goats. The marble and emery of Naxos were soon in use in art and daily life far beyond the bounds of the island. 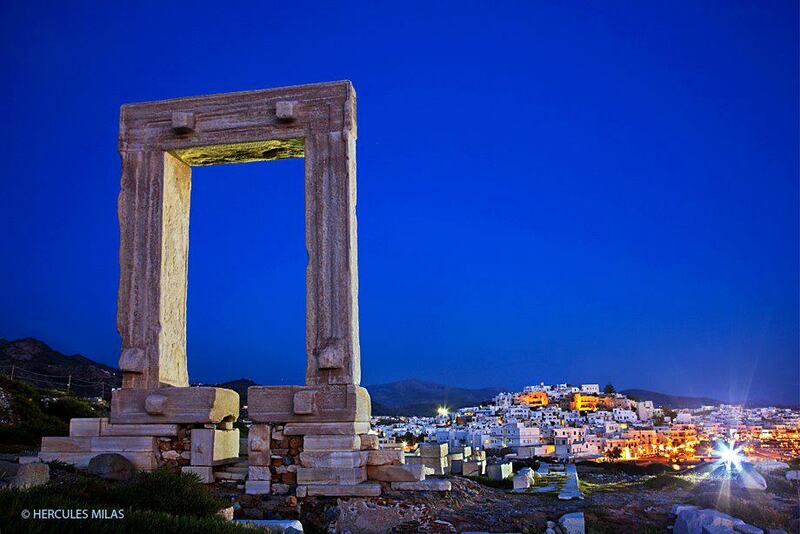 The myths relating to Naxos reflect its agricultural society, pastoral surroundings and general air of prosperity.